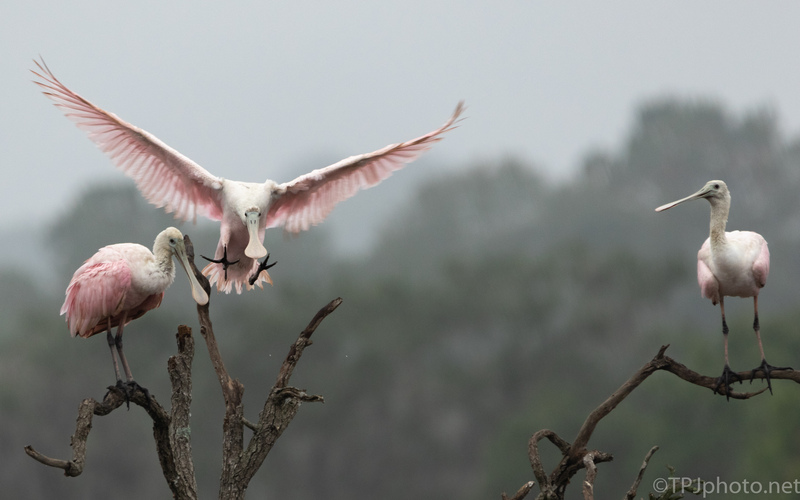 So, my initial reaction was that it was not going well, for any of the Spoonbills. One of those crash landings they have been know to do. If just a little off course more than one bird would be involved. Most of the time, like here, they manage it safely. It does make a good series of photographs though.